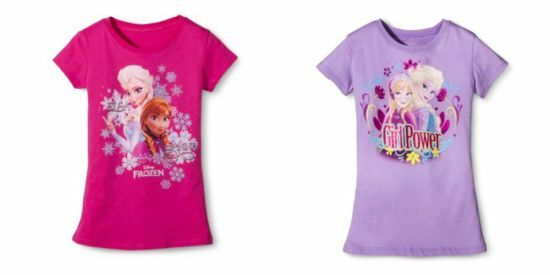 Target.com: Disney Frozen Tees for Girls & Toddlers only $6.74!! Thanks to the buy one get one 50% off sale at Target.com, you can pick up Disney Frozen tees for only $6.75 when you buy 2. This sale runs through Saturday, July 12th. Keep in mind you will get FREE shipping if you pay with your Target REDcard or if you spend $50 or more. Make sure you check out all the buy one get one 50% off deals for the whole family. 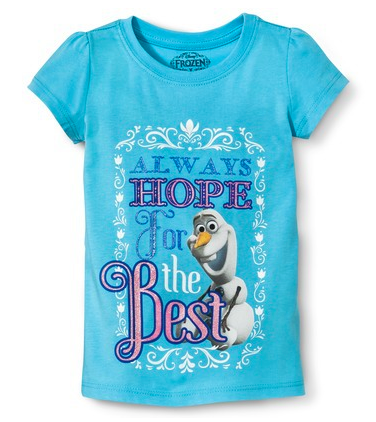 You can check out all the Disney Frozen Tees, but here is an example of the savings!